22mm holes (about the size of a €1 coin) are drilled in the external wall. Bead insulation is then pumped into the cavity. The bead is coated with an adhesive. This bonding agent allows the bead to flow freely until the cavity is completely filled. The adhesive then sets to prevent any sinking, settling or cracking.We can fill walls where there is no insulation or where some insulation already exists. The holes are then repaired with coloured plaster, or paint if available. 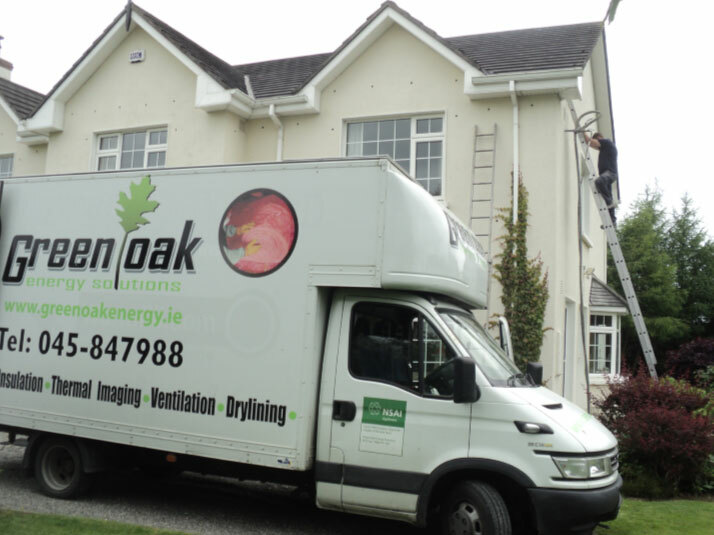 Installing cavity wall insulation will greatly improve the warmth of your home and save on your heating bill. The insulation will lower the rate at which heat is lost through your walls so the house will also hold the heat for longer.